Born and raised in St. Croix in the USVI, chef/owner of Second Nature Gourmet Marla Leblow spent her early years enjoying the island lifestyle. Later in her childhood, her family relocated to Western North Carolina where her love of the mountains began. During high school she worked in local restaurants, following in her older brother’s footsteps. After attending college at Appalachian State University where she studied photography, she decided to change her professional direction toward a culinary career. After paying her dues working in kitchen jobs throughout high school and college, Marla was encouraged by a mentor chef to attend culinary school which is where her love of cooking started to flourish. She attended culinary school at Asheville Buncombe Tech in Asheville, North Carolina where she focused on general savory foods. During her time in Asheville she competed in culinary individual and team events including American Culinary Federation Student Team and Individual La Chaine de Routisseur. Both individual and group competitions brought her to national levels. 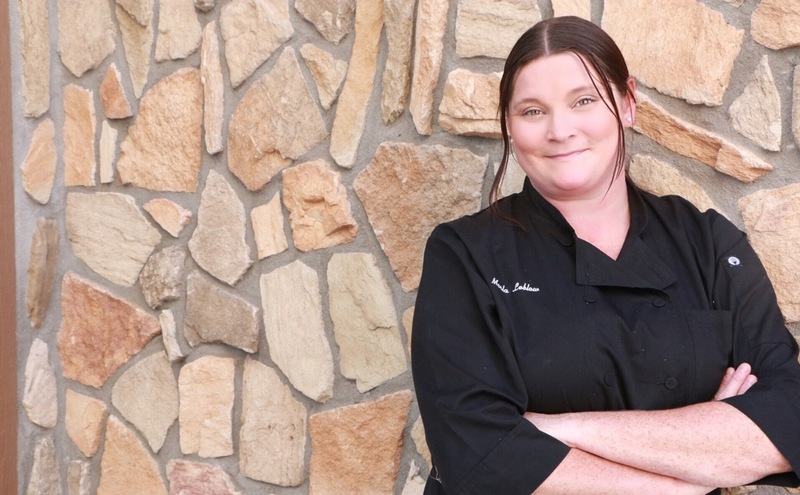 Following culinary school, Marla moved into culinary management when she accepted a sous chef position at a prestigious golf country club in Sapphire North Carolina called Sapphire Valley Country Club. Marla’s next move brought her to Palm Beach Florida where she worked for prestigious The Four Seasons Resort, and then became sous chef for a large, locally-owned catering business called Lyon & Lyon Catering. Spending her winters in Florida lead to seasonal travel to Martha’s Vineyard in Massachusetts where she spent 3 summers as executive chef of a locally-owned catering business specializing in New England cuisine. Ready for a new experience, Marla decided to move to Seattle, Washington in 2010 where she began working for tech giant Google as an Executive Sous Chef under James Beard Award-winning Chef Jason Wilson. While in Washington, she found her passion for sustainable local foods because of the influence from Chef Wilson and the plethora of locally sourced foods the region had to offer. In 2012 Marla relocated to the Vail Valley after being recruited as a personal chef. Since then she has been working privately for a family. As a private chef she began developing relationships with local farmers and specializing in foods that are gluten free, clean, and healthy. Marla is thrilled to share her nationally-learned skills and innovative cuisine with the community and support the local food movement in the Vail Valley. Since a young age cooking has been like second nature to Marla and she is excited to share her talents and drive for locally and thoughtfully produced foods to locals along with visitors with our beautiful mountain community.